What Does Mark 8:31 Mean? Simon Peter was the apostle who proclaimed: You are the Christ. This positive declaration of His Messiah-hood is recorded in each of the gospels. 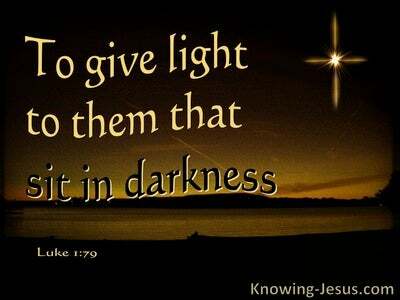 In Luke the Lord Jesus is acknowledged as the Christ of God, while John’s gospel records Peter as saying:we have believed and have come to know that You are the Holy One of God. Matthew expands Mark’s brief proclamation to read: You are the Christ, the Son of the living God, but this sacred declaration, when Christ’s closest disciples recognised and confessed the Person and Work of Jesus Christ, as God’s anointed Saviour, seems to be a pivotal point in each of the four gospels. It appears that this God-directed declaration of Simon Peter, was the trigger whereby Jesus began to explain to His disciples what His mission truly was. Peter’s confession seemed to mark a turning point in Christ’s earthly ministry. 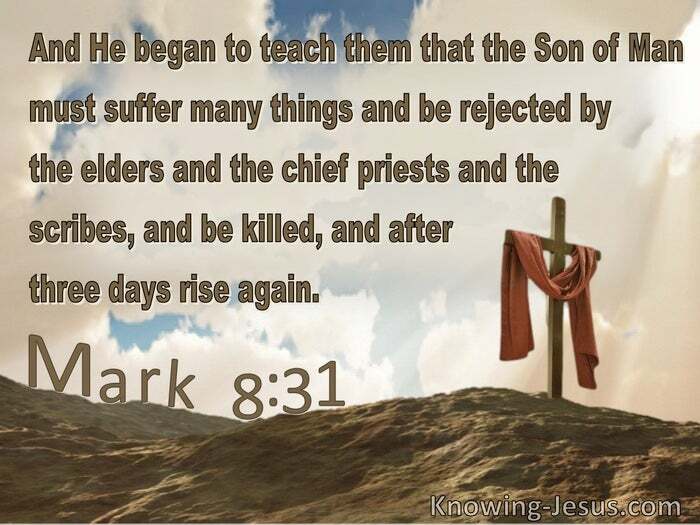 It was from this point forward that the Lord set His face as a flint towards Jerusalem and Calvary – for we read.. and He began to teach them that the Son of Man must suffer many things and be rejected by the elders and the chief priests and the scribes, and be killed, and after three days rise again. Jesus was the anointed Messiah-King of Israel, Whose coming had been prophesised throughout Old Testament Scripture, but He had not come to set up His Messianic Kingdom at that time. 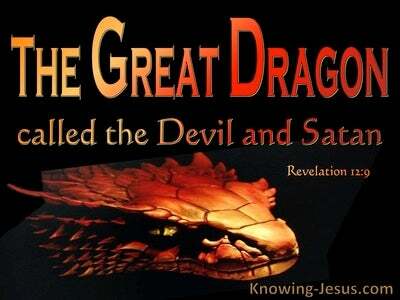 First, He had to subdue all principalities and powers in the heavenly realm, and to offer Himself up as the ransom price for the sin of the whole world, before He could usher in the kingdom of heaven on earth. Jesus did come as the conquering hero of their expectation at that time. 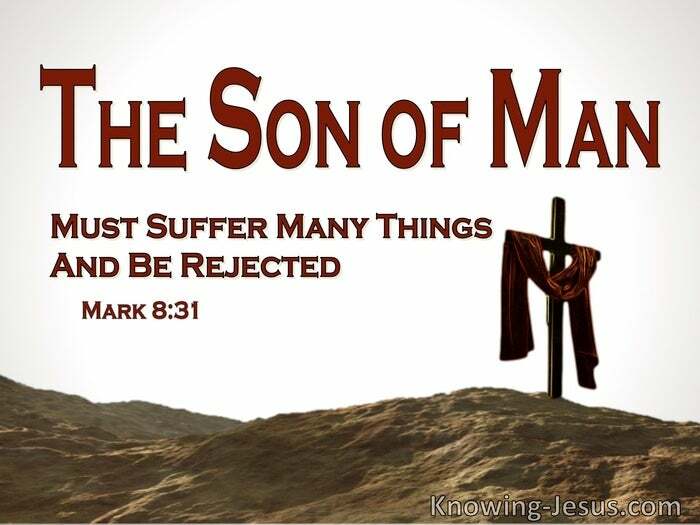 First, He mustsuffer many things First, He must be rejected by the elders and the chief priests and the scribes. First, He must die as man’s Kinsman-Redeemer. First, Jesus must go to the cross as an innocent Victim for the sin of the whole world – for your sins and for mine. Before He could bring in the promised kingdom and sit on the throne of David, the Lord Jesus Christ – Son of the living God, must die, and after three days rise again from the dead, in order to fulfil ALL scripture. First, He must break the power of sin and Satan, death and hell.. by means of His sacrificial death and glorious resurrection. 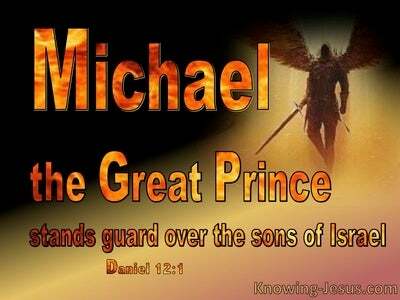 First, He must redeem mankind from the clutches of the enemy – and THEN He would recover the kingdom which Adam lost to Satan. First, he must fulfil ALL the requirements of the Law and become man’s kinsman Redeemer before He could legitimately regain the authority Adam lost and set up God’s promised and prophesised Kingdom-of-Heaven, upon earth. God’s divine plan of redemption does not yield to man’s imagination; man’s expectation; man’s ordered will or man’s demands. The redemption of all that Adam lost and Christ’s consummate victory over the power of Satan must precede His messianic rule. Christ’s Messianic mission dictated that first there must be the sacrificial cross to pay that price for man’s sin. First the redemption cost had to be paid and then a new creation in Christ could be established to govern God’s kingdom on earth – in righteousness. 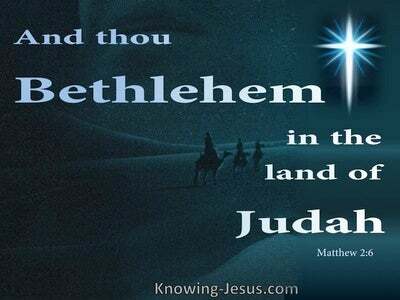 Because of Israel’s rejection of their Messiah King, Christ’s kingdom had to be postponed, for a season… but the plans and purposes of God will one day come to fruition when Israel – who have been spiritually blinded for many centuries, will recognise Jesus as their Messiah-King and will once again cry out in FAITH – blessed is He Who comes in the name of the Lord. Hosanna in the highest. Heavenly Father, what an amazing plan of redemption, that despite the fall of Adam, You purposed to redeem mankind by the sacrifice of Your only begotten Son – and that through His death and resurrection I too have received the forgiveness of sin and life everlasting. Thank You that the old creation will one day be totally replaced by the new Creation-in-Christ – when ALL things will become new. Praise Your holy name, AMEN.